The major fundamental themes impacting markets over the next quarter are the US Presidential Election, China’s economic state and geopolitics primarily around US-Russian relations and events in the Levant. Without getting into a political discussion around the US Presidential Election let’s suffice it to say that it’s divisive, nasty, and for me, personally tiring. Many of you probably feel the same. And we aren’t even voting in it. Sure, I like political discussion and see it as important at the level of the individual citizen. I enjoy the to and fro of working over an issue with friends and family. Politics for me has always been a pragmatic endeavour – “let’s get something done”. But this US election is a scorched earth affair where whomever wins will have a tough go of it bringing the other side into one big tent. The present read strongly suggests the winner may get little help from the US House or Senate. At a minimum, four more years of gridlock in the US will continue to put pressure on fiscal policy to do its part, something that has yet happened since the Great Recession. This is especially relevant as monetary policy (US Central Bank) has passed its maximum effectiveness. The market now has discounted the impact on stocks and bonds by assigning a 70% chance of a rate increase in December without dramatically impacting prices. Investors are naturally cautious ahead of the November 8th election, and there will likely be a market reaction November 9th, but how will participants process things say two weeks or two months later? Historical data implies that a Clinton win with a Republican Senate maybe provide a sense of relief and play out positively for stocks while a Trump win, which hinges in large part on breaking the “establishment”, may imbue uncertainty and lower returns. China still has “a problem with overcapacity leading to non-performing loans” as I wrote in our client letter last quarter, yet, developments there have largely been flying under the radar of the general public, and more relevant to this note, the investment community. I went on to say: These loans will increase with the slowing economy. According to Francis Cheung, head of CLSA’s China and Hong Kong strategy, “It is estimated that bad loans are actually around 15% to 19%, significantly more than the 1.6% announced by the government recently. “At that rate, it will require at least $1 trillion, equivalent to 10% of the economy, to clean up the banking sector” he said. The International Monetary Fund reported that “loans at risk account for about 15.5% of total bank loans, or $1.3 trillion.” The rate for the Yuan, which is decided upon by the government through a daily setting against the US dollar, has dropped almost 11% over the last couple years and 2.5% in the last quarter alone. Unlike most currencies where price changes are based on buying and selling, the People’s Bank of China establishes the daily rate as it sees fit. The end result is that the country exports deflation through sending lower cost goods, and in the last few years, commodities (dumping steel and exporting oil for example) out to the rest of the world. September’s non-financial outbound investment was up +56.9% year-over-year painting a picture of Chinese investors wanting to move assets out of the country vs. investing them domestically. “The super cycle in commodities that peaked out in ’11 and ’12, you’ve heard me say this, was a once-in-a-lifetime kind of thing. The overcapacity that exists in mining, mining equipment, construction equipment is serious,” said Jim Chanos, famed short seller. Too, just today, CAT’s outgoing Pres Oberhelman said there is an abundance of used construction equipment lying around. “Economic weakness throughout much of the world persists”. In addition to the exporting of deflation from commodities and goods, the country has equal concerns from a housing and debt bubble but to this point they have acted as offsets or a counter balance to deflation. And last, while I avoid geopolitical discussion in relation to investment decisions, mostly because it’s hard to handicap exactly (or even closely) how they will impact markets. Actors, whether they be governments or central banks, make it hard to use technical analysis to gauge surprising decisions, particularly ones relating to escalating tensions around conflict. This is just the case with regards to Syria. On one side is the US, claiming to be protecting “Syrian rebels” and the population from President Assad’s bombardment, and to this end, is now considering a no-fly zone around the capital Aleppo. On the other side are the Russians who were invited into the country by the government. For a short time the two countries were loosely coordinating military efforts thus making sure that there were no incidents between them. However, this cooperation has abruptly ended. Russia has sent in a battery of anti-aircraft systems which is problematic ahead of any US non-fly zone creation, and the US has made claims that President Putin and the KGB are interfering in the US Presidential elections by releasing hacked e-mails containing unpleasant US domestic political information to WikiLeaks. Joe Biden, the US VP, has said they will be retaliating. Just to muddy the waters further, Russia has just recently sent all of its northern naval fleet and part of its Baltic fleet to the eastern Mediterranean making this move, when combined with the US Navy already there, the biggest build-up of forces since the Cold War. The odds are likely that nothing will happen, but we are prepared through our risk management process to deal with any missteps, as we are with any unknown, that may lead to an escalation and change. Our working thesis for the next year based on our technical analysis is that near term markets will be negative or flat; mid-term, a potentially very strong bullish move beginning in late Q4 or early in Q1; and longer term, a larger correction in late 2017 or early 2018. We have already entered a short term corrective phase, the first since the unexpected Brexit vote in late June. This chart of the S&P shows the index weakness – trend (arrow), red circles (volatility stops), and a bearish MACD. And it squares with the many current negative or non-bullish stimuli. Besides the US Presidential Elections, a China bubble in debt and property, and US-Russia relations, corporate earnings have declined for 6 quarters in a row, individuals are carrying high debt levels (Canadian debt-to-income is an at all-time at 168%, higher US citizens at the top in 2008), manufacturing and service data is barely in expansion (vs. contraction) mode and GDP projections for 2016 will be near 1% for Canada and near 2% for the US (US projections were for north of 3% still in late August). 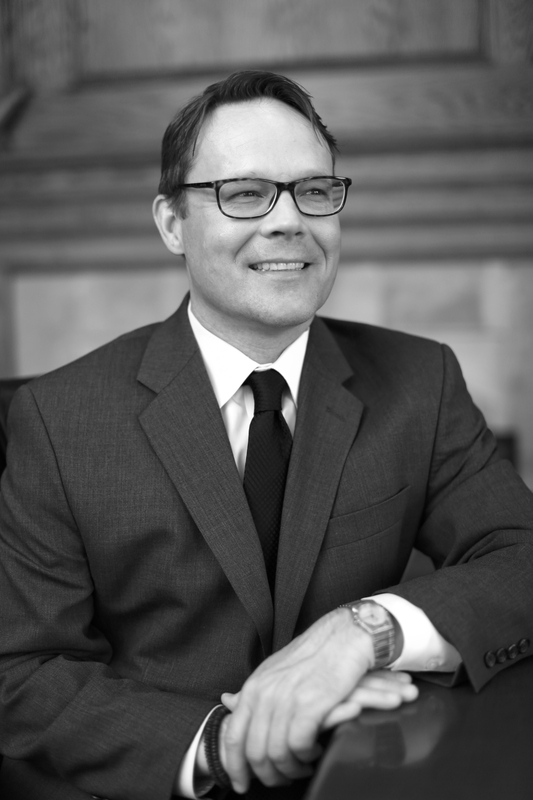 Corrections can happen through time and price, meaning values can fall or just stay flat. Due to the highly level of volatility expected in the short term we have begun to hedge existing portfolio positions through inverse ETFs, first in the most susceptible model, the US Equity Portfolio, and later, if warranted in, the Canadian Equity, Focus and Two-Way Portfolios. By “hedging” we intend to simply maintain existing positions yet we also want to create insurance against overall weakness at the index level. Existing stops on individual positions will remain at current levels without tightening them further and any individual positions may be purchased during overall market weakness. Despite, the many significant fundamental hurdles to economic growth mentioned, and thus higher security prices, and despite the fact that markets look toppy and we’ve been without a recession since 2008, there is no technical evidence or analysis that heralds a trend change for the mid-term view at present. In fact, there are several indicators that strongly suggest a bullish asset environment through to late 2017. The markets clearly favour a Hillary Clinton presidency. Understanding the reasons don’t necessarily matter; any put forth are only speculation. In addition, a bullish (and potentially strongly bullish) market throughout next year has the highest odds of putting as many investors offside as possible by their not being in the markets. The emphasis in portfolios, subject to stop losses and natural selection will remain in holding convex positions, that is holding positions that represent pro-growth or cyclical themes. On the longer term we still have challenges to resolve – individual and government debt levels, pension and healthcare funding, aging populations, infrastructure and economic demand to name some big ones – things that are structural in nature, and that take years to address through fiscal policy. We are just seeing the start of this in Canada, for example, by the government’s 10 year infrastructure plan, but we are slightly ahead of the curve. In the West we have only really seen monetary policy at work over the last 7 years. These are actions taken by central banks which have merely inflated asset values and not addressed these needs. Elected governments manage fiscal policy; thus far they have been ineffectual, and some may say are burying their heads in the sand preferring to let the central banks do the heavy lifting. The following charts reflect the disconnect between these challenges, including meaningful wage growth and financial asset performance. Until we seriously embark on this societal and financial reset deflation will remain a powerful force underpinning longer term portfolio allocations no matter what central bankers intend or prefer. We may yet get some inflation in the months ahead, and it will be touted as positive. Yet it will also be self-correcting. That is, inflation will impair demand and turn down if there is no back-filling from capital spending. In 2008 CastleMoore took clients to 100% in cash thereby avoiding the crash. Before we begin a new secular bull market or continuation of a very nascent one, whichever it is, the odds are high that we need a final reconciliation of the imbalance in risk. In the meantime, our focus is much closer at hand, working to deliver positive absolute returns across all our portfolios, letting our risk management and procedures, not our thesis, alone, be the final arbiter of our investment decisions. 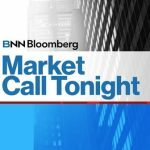 Please join me on BNN Friday, October 28th 6-7PM for a Market Call Tonight appearance. Host Greg Bonnell and I will discuss and take your calls, e-mails and tweets on macro portfolio strategy and technical analysis.